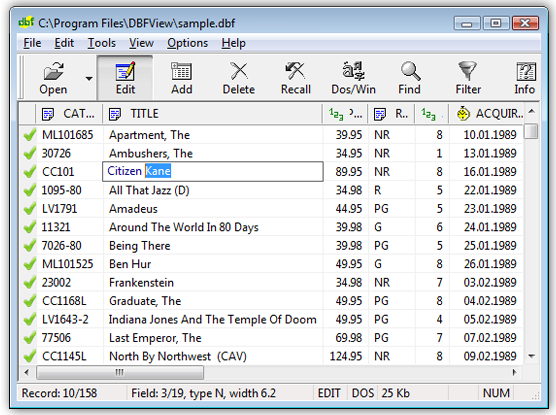 Import DBF for Excel Import DBF for Excel. 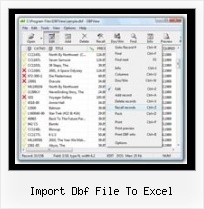 Import DBF for Excel converts DBF files to Excel (XLS or XLSX) format quickly and easily with automatic resolution of DBF field formatting issues. Choose a Data Source (SQL Server Import and Export Wizard) To import DBF files, first use Microsoft Access or Microsoft Excel to import the data from DBF files into an Access database or Excel spreadsheets.